The ongoing saga of Jussie Smollett's alleged hate crime continues as his status has officially raised to being a suspect for filing a false police report. Last month, Smollett claimed he was attacked in a vicious hate crime in Chicago. Since then, two men were arrested and released without being charged in connection with the alleged attack. Earlier this week, sources suggested that Smollett was being investigated as a "participant" in his own attack. The case is expected to go before a grand jury soon. UPDATE (2/20, 9 p.m. EST): According to the New York Times, prosecutors charged Smollett with a felony count of disorderly conduct after appearing in front of a grand jury. The jury found probably cause that Smollett had staged his own attack. UPDATE (2/21, 8:30 a.m. EST): Smollet has now been arrested and is being held by Chicago police. The actor reportedly turned himself in this morning, and is expected to appear in court again later today. 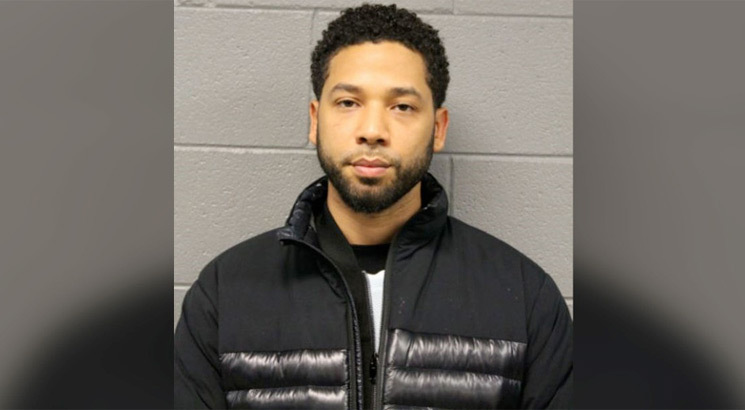 The charges could lead to a sentence of up to three years in prison, and Smollett may be responsible to pay for the cost of the investigation.